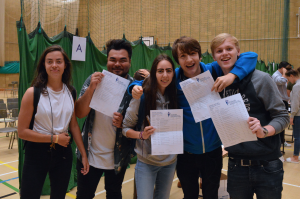 Building on the success of last year, St David’s Catholic College has delivered yet another rise in A level results for its students. There was a 4% increase in A* to A grades, a 4% increase at A* to B and 7% increase from A* to C.
Three students have met their Oxbridge offers: Bethan James, Christy Nganjim, Anna Wright. In the college’s Honours Programme for gifted and talented students, an impressive 66% of students achieved an A* to A grade and 89% achieved A* to B. 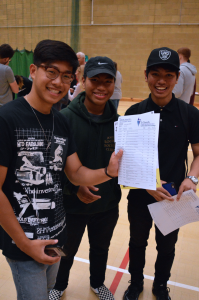 “We are exceptionally proud of all that our students have achieved this year, and that results have once again improved. We are confident that with these results and the many other skills that they have developed during their time at St David’s, they are well prepared to face the challenges and opportunities of the future. This year’s success is a testament to the hard work and dedication of the students, teaching staff and support team at the College.